Michael is asleep or in the house. Since the weather was so nice today, I decided that I would do a much needed vacuuming of my car. I remember many times as a little girl helping my dad out with vacuuming my parents' cars. I don't ever remember the cars looking the way that I let mine look. 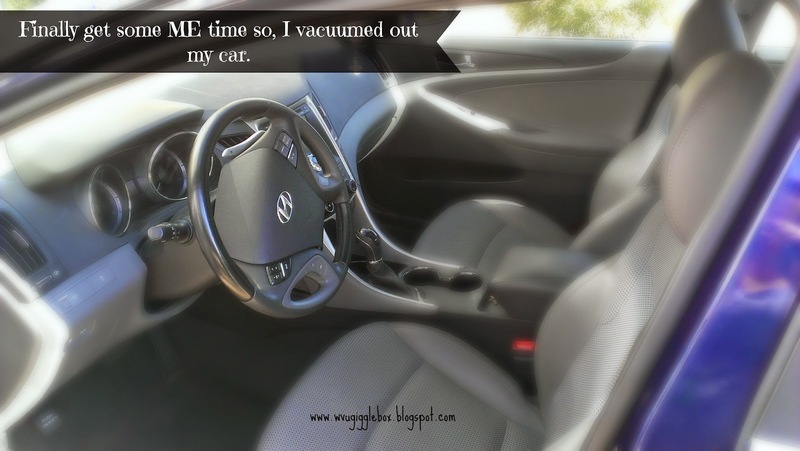 When I got my first car, I cleaned it on a regular basis. It wasn't until I got married that I just stopped with the cleaning of my car. I guess I just figured it was Jon's job and left it at that. This is what the front seats looked like. It doesn't look too bad, but most of the dirt and trash was under the mat. The back seat still had popcorn all over it from when we went to the drive-in theaters in July. 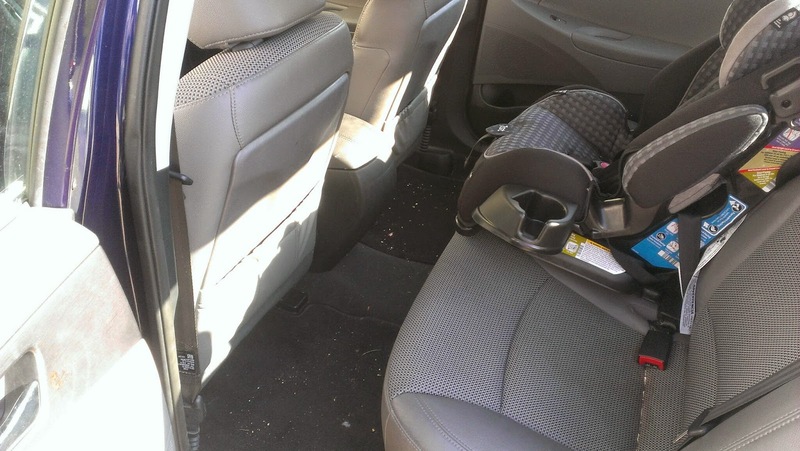 It's inevitable that the back seat would have crumbs and need vacuumed since that's where Michael sits. My trunk was the worse. There was hay all over the trunk from the county fair back in July. When I had folded up the stroller, a huge amount of hay got stuck in it. All vacuumed. Looks great, but still needs wiped down. Maybe I'll do that on Thursday. No more popcorn on the floor! The seats and carpets need a steam cleaning to get all the drinks up from all the spills that have happened back there. Finally, the trunk. Since my trunk is so big, I literally had to get in the trunk to clean it. I was really happy with what I accomplished while Michael was having fun in school. Hopefully I'll be able to be just as productive, if not more all the other days. What do you normally do when you have ME time?